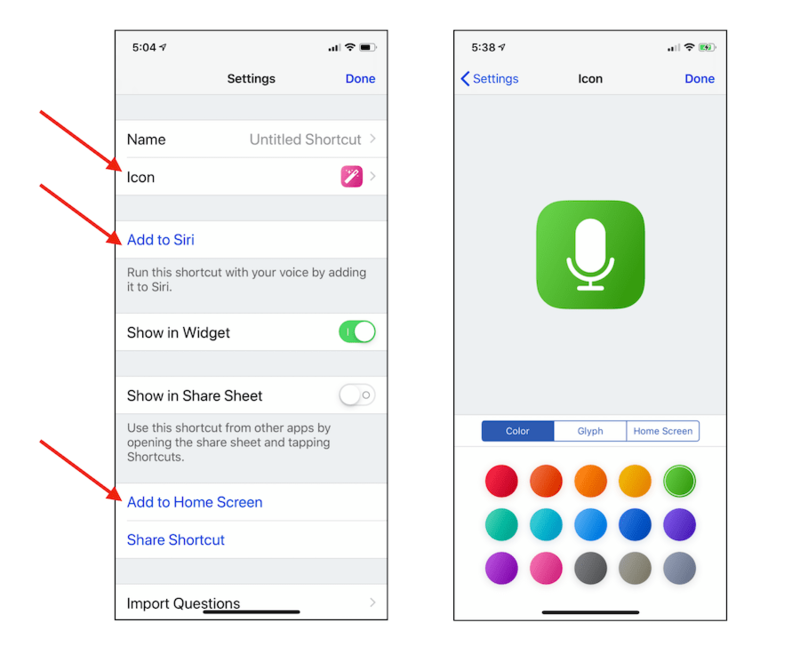 With Apple Shortcuts you can create a shortcut to record voice memos from the iPhone using Siri or a link on your iPhone home screen… But where do voice memos go, and where are they stored, after they are recorded using Shortcuts? 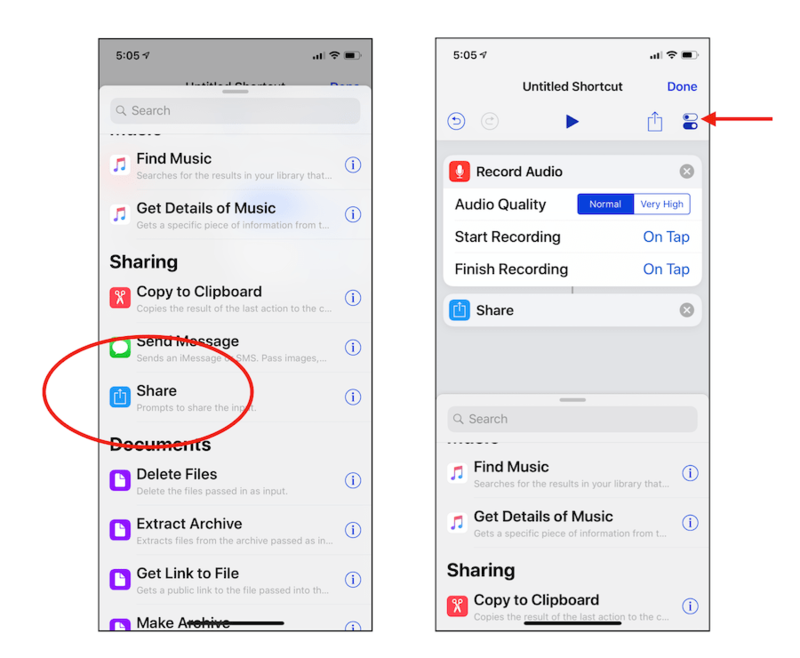 Where Do Voice Memos From The iPhone “Record Audio” Shortcut Go? Even though I didn’t get it at first… It turns out that the Shortcuts app is pretty cool, actually. 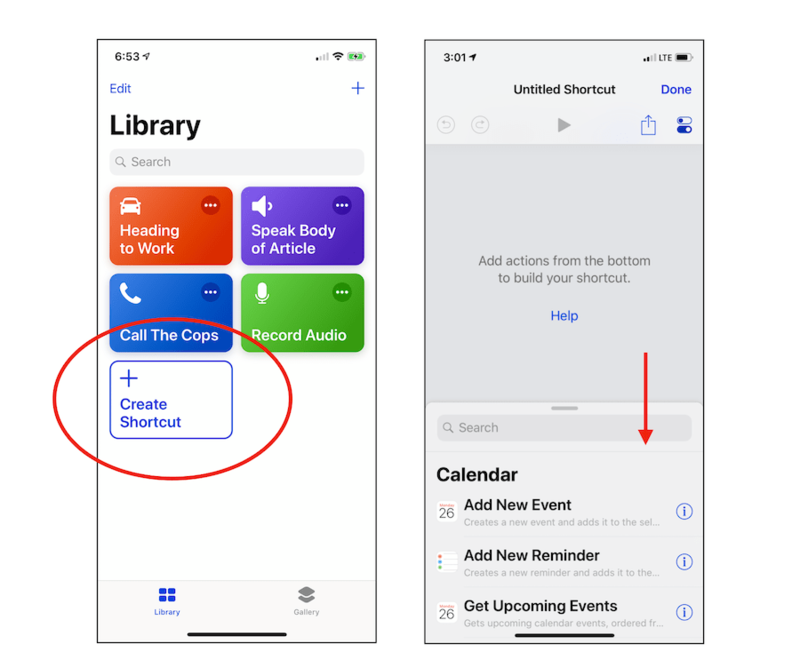 As I wrote about previously, Apple’s Shortcuts app allows you to create shortcuts for everything from firing up Apple Maps for driving to work, to calling the cops to recording voice memos. But there seems to be a glitch in the Shortcuts app when it comes to using a “Record Audio” Shortcut. 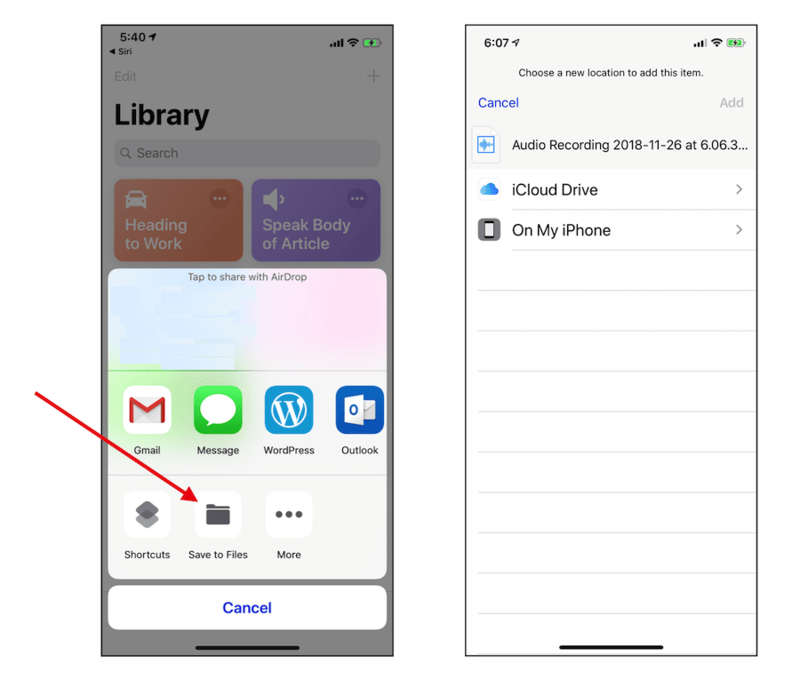 This is a shortcut you can create that can be invoked using a home screen icon or via Siri by saying something like “Record audio”. 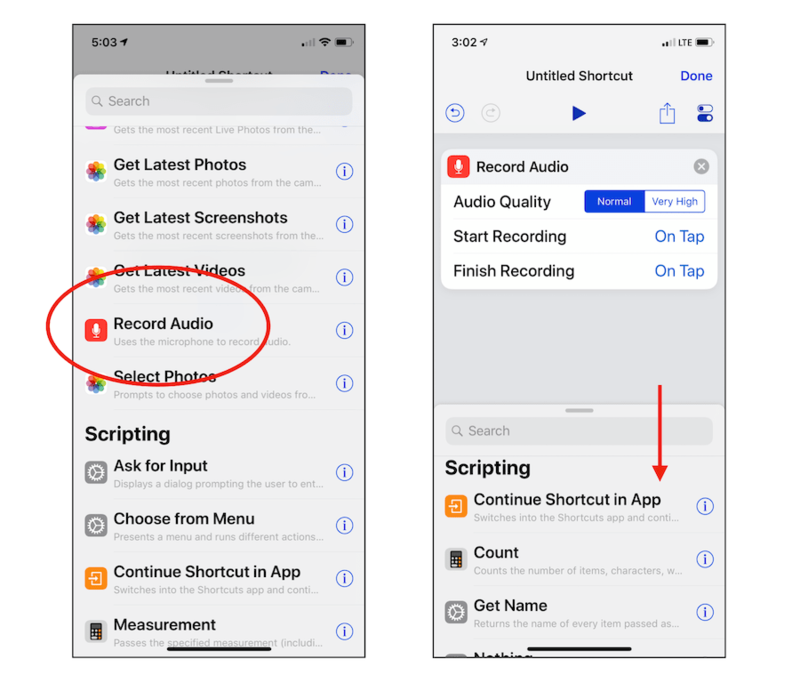 The iPhone “Record Audio” Shortcut should work by allowing you to tap the “Record Audio” shortcut icon from your home screen or summon the shortcut with Siri by saying “Record Audio” or whatever command you want to use. But if you use the shortcut from the home screen or via Siri, the recording disappears. I looked in the Voice Memos app, in iCloud and in iTunes but couldn’t find the recordings I was making. I called Apple and they couldn’t help me. Then I went to the Apple Store and they confirmed that there’s a software glitch causing the “Record Audio” shortcut to not save the audio (unless you tap the “Play” icon from within the shortcut itself). The solution to this problem is to create a “Record Audio” shortcut with a second command in it to share the audio file. 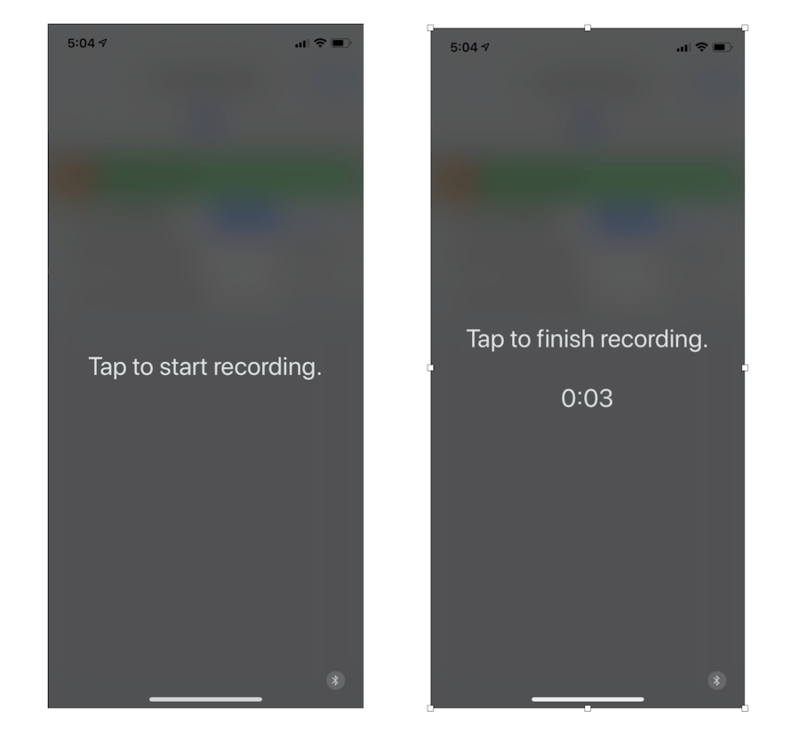 This is a workaround that will cause the audio file to show up after recording via the iPhone home screen or via Siri and allow you to choose where you want to send the voice recording after it’s recorded. This will open up the list of shortcuts you have available. Tap “Record Audio” from the Shortcuts menu then scroll down again to add the second command. Then click the “Settings” icon in the top right hand corner. You can customize the name of the shortcut, the home screen icon, and choose what command you want to use to ask Siri to run the shortcut. The Shortcut should work now. 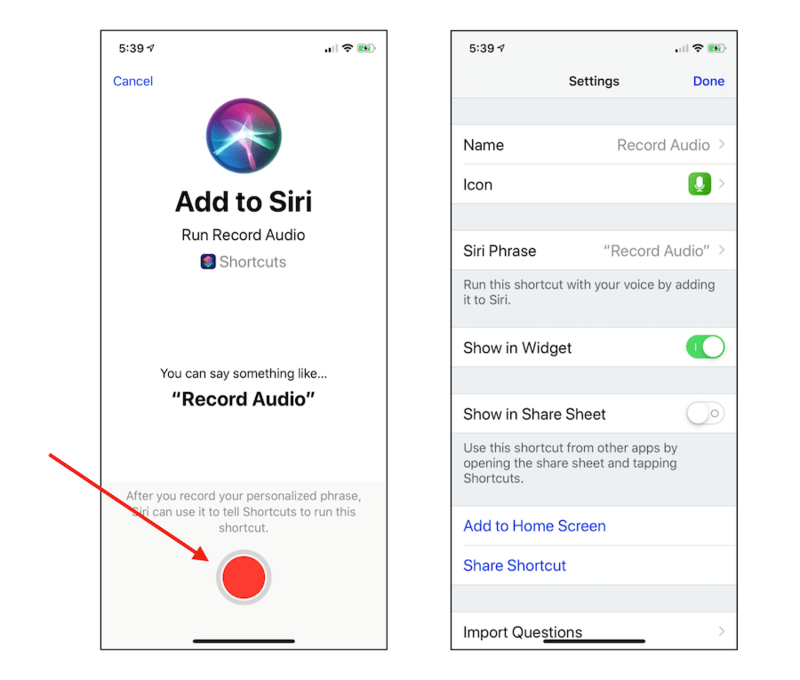 When you say “Record Audio” to Siri or when you tap the shortcut icon you created on your home screen the Shortcut should run. You tap to start recording and then tap to stop recording. Once the recording is done, you will be asked where you want to send the recording. 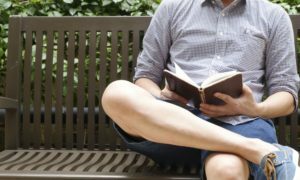 However, you can choose wherever you want to share it. You can text it to yourself or send it to someone via Gmail or whatever apps you are using on your iPhone.